The best toothbrush is one that encourages healthy habits... Brushing gently for 2 minutes, with short, tooth-sized strokes. Brushing at the start and end of your day and between meals. Brushing only with soft, rounded bristles, fresh every 3 months. Despite toothbrush “advancements”, we still fail at these steps as we are led to believe our brush does all the hard work for us. 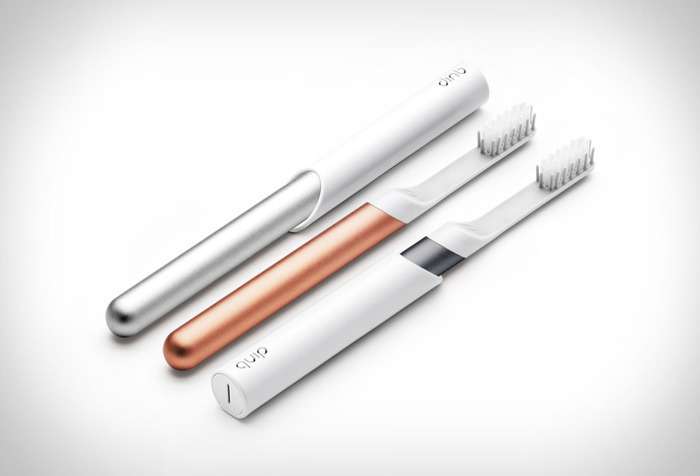 We designed a slim electric toothbrush with a vibrating timer and affordable head delivery service that encourages the good habits and excluded the harsh cleaning modes, bulky chargers and expensive brush heads that don’t. Delivering a simplified experience that effortlessly guides you through the basics!